Residential & Commercial Carpet cleaning services in Austin. 100% satisfaction guaranteed. 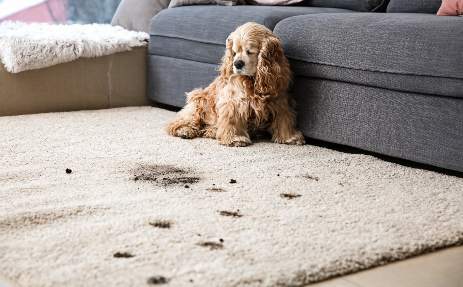 At Absolute Carpet Care we strive to provide 100% guaranteed customer satisfaction when it comes to your cleaning needs in the greater Austin, Texas area! We are a premier full service company that is family owned and operated. Our top priority is completing each job with the utmost knowledge and integrity. Our team is comprised of licensed professionals with a collective experience of over 15 years. We are located in the Austin, Texas area so when you shop with us you're supporting your community! We can handle any size job you have from large to small. Our large box truck mounted rig has twice the equipment and range of smaller van sized carpet cleaning operations. Call the rest, then call the best. Our goal at Absolute Carpet Care is to provide you with the most effective carpet cleaning techniques at the most affordable price. Earning and keeping your trust is our #1 goal! Absolute Carpet Care is owned and operated by Jeremy Adams. Jeremy is a native of Austin, Texas and he understands and shares the values that Austinites have come to cherish.